Denim trends come and go, but cotton is the constant common denominator for most jeans. During a panel discussion at Kingpins Amsterdam Wednesday, experts from cotton-growing regions discussed the current state of affairs in the global cotton business. 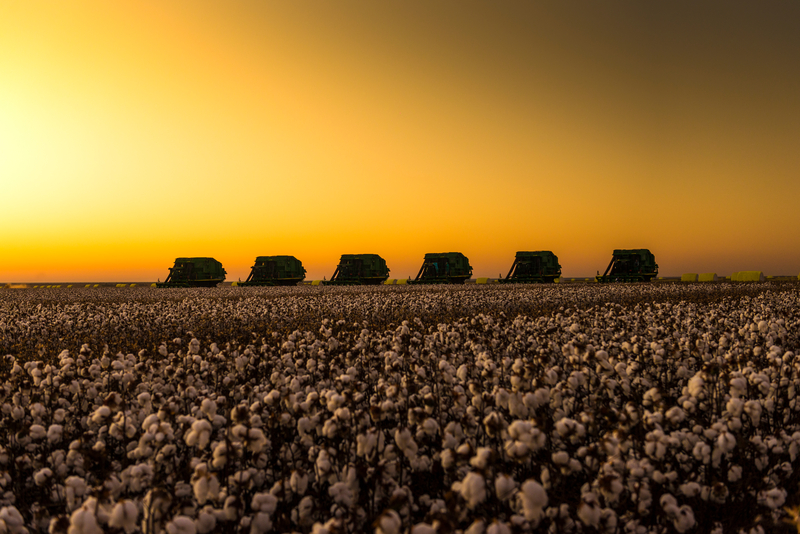 From the debate on what’s sustainable, to cotton-growing initiatives that are finally taking shape, denim experts shared their perspectives on the current cotton market. If there’s hope for scaling sustainability, pressure to advance in the are will have to come from outside and inside sources. “When you buy something from a company, you expect a certain behavior,” Kingpins founder Andrew Olah said, and companies will have to show they stand for something. Offering Ikea as an example, Olah said the Swedish furniture company showed that it stood for something when it decided to switch to 100 percent sustainable cotton in 2015. Now Ikea only uses cotton that’s either recycled or grown with less water, chemical fertilizer and pesticides. It pays, it seems, to give suppliers ultimatums. “You should tell us, ‘Hey guys, if you’re not going to do this in a 100 percent sustainable way, then I’m not going to buy anything from you,’” Ozek urged. The WWF and C&A Foundation recently celebrated the first bale of organic cotton to be produced at scale in Pakistan. The project includes 4,000 farmers growing organic cotton. Pakistan denim manufacturer Artistic Milliners, is depending on this initiative, and according to Ahmed, the mill has secured half of the production. Brands and retailers are reacting to sustainability, but in different ways. “Some companies are in it to do the actual right thing, whereas others are doing the minimum required to give consumers a feel-good feeling,” Olah Inc. managing director Robert Antoshak, said. Artistic Milliners, for one, takes a 360-degree approach to sustainability. From cotton, water recycling, energy conservation and the company’s CSR activities, Ahmed said the goal is to always take the sustainable path. An organic cotton farm, Antoshak said, works 10-times harder than a conventional cotton farm using the latest technology for growing cotton. “Organic is not sustainable, period,” he said, adding that it requires more inputs and is harder on the environment. However, even if denim wants more organic cotton, there are larger players in the field. The cotton market, Antoshak said, is moved by the home textile industry. “They can be great marketers all they want, but the reality is that the market will dictate what the results will be,” he said.